Previous story What We're Wearing to the Gym: Oct. 2017 Next story We Asked 20 Women: Do You Like Piercings and Tats? If you're the type of person who enjoys working out then having a couple of drinks to relax when you're done, you might want to read this article carefully, because you're about to learn why you may not be getting the gains you want. If someone continues to drink a decent amount of alcohol, it may cause acid reflux. If it gets bad enough, most Americans do what most Americans do - get the answers from the tv, specifically from those awful drug commercials. Next thing you know, they go to the doctor, who naturally writes them up a prescription for something like an acid reducer - or even worse - a proton pump inhibitor such as Prilosec. This reduces the essential acids, which help break down foods. When food isn’t moving, we can’t rid the body of the waste and toxins. A major organ that's also affected by alcohol is the liver. Did you know that the liver performs over 400 functions? A couple of those major functions are to process fats and proteins from digested food and burn fat. Another important function the liver does is storing glycogen, a chemical made from sugars. During digestion, the liver breaks sugar down into glucose, which is then released into the bloodstream, then delivered to our muscles for energy. Your liver is very important… so keep it clean! 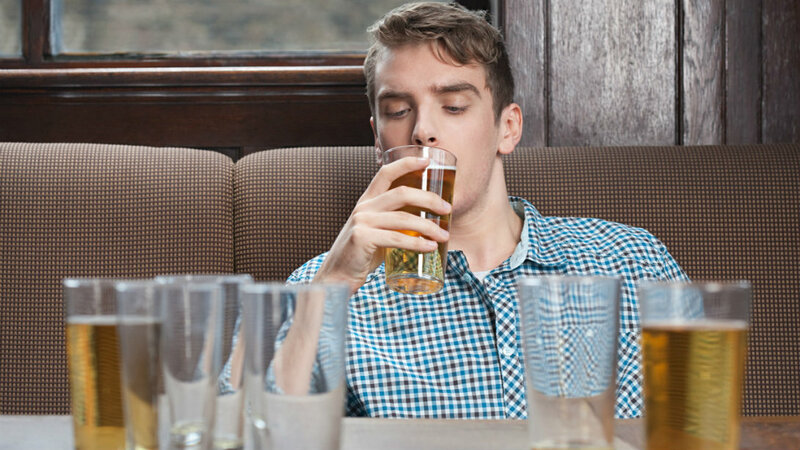 Find out what happens to your body from the moment you start guzzling the booze. Alcohol impairs the body’s ability to repair injuries. Normally, the body automatically releases white blood cells to an injury site to help you heal. But with "drinkers," research shows that the body’s natural, involuntary ability to tell white blood cells that they were needed at the injury site had diminished drastically, and building and repairing muscles slowed down considerably. Every time you workout, you tear down muscle tissue in hopes of repairing it quickly. This is what gives you those nice, toned muscles that look good. Alcohol interferes with this development, so let’s be mindful of your alcohol consumption. You may get away with it while you’re young, but eventually it’ll catch up with you ten-fold! The last important point to cover here is dehydration. Consuming alcohol dehydrates you. This is important, because being dehydrated affects most everything in your body; from your mood to the ability your mind has to process information and memories. In addition to that, research has shown that dehydration does immediate damage to your brain, even shrinking it. Your capacity for learning, memory, and mental alertness will all suffer if you're dehydrated. Re-hydrating those cells too quickly after they’ve shrunken can cause cerebral edema or swellings of the brain. If you’re not getting ample fluid, you’re not carry water-soluble vitamins and minerals through your system either. Having severe dehydration also drains your motivation, energy, and stamina. NO Drinking! Keep your liver and digestive system healthy and your body will work at optimal performance. I don’t mean to harp on alcohol, but I know through experience from my clients and myself. Prior to beginning their training, 75% of my clients drank an average of 2 glasses of wine every night. But as soon as they stopped, they lost a lot of their wrinkles and saggy skin, plus the fat started dropping off their bodies. When you quit drinking, everything feels and looks better, and your body responds faster and easier to all your training & exercise. Of course, the choice about what you do with your body is always yours to take.